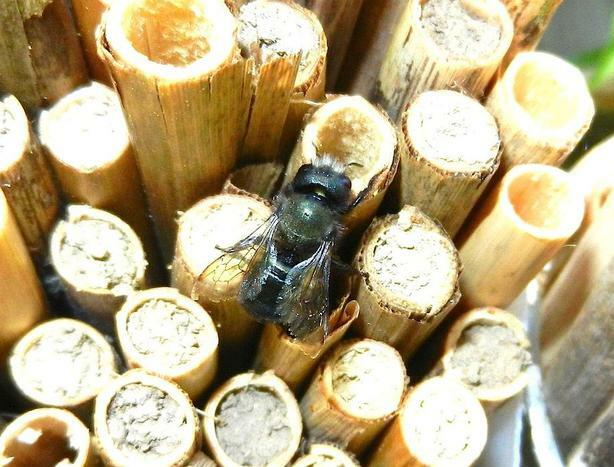 I am selling Mason Bees (in packets of 30 for $20.00) and native Phragmites common reed grass tubes for the culture of Mason Bees (in packets of 30 for $15.00), harvested from my farm in Metchosin . These bees (the best pollinators) have been raised from wild stock in the area and the tubes are harvested sustainably on our farm. They are the most efficient type of tube for attracting mason bees and for reducing parasite infection. For evidence see: ( See https://masonbeesforsale.com/choosing-nesting-materials/ ) . If you are outside of the Victoria area information on the website on how to order. ---$15.00 for 30 tubes +$5.00 shipping and tax if you cant pick these up at the farm. I do not ship mason bees, as I believe in preserving the genetic integrity of the species so I sell only to Vancouver Island and the lower mainland.